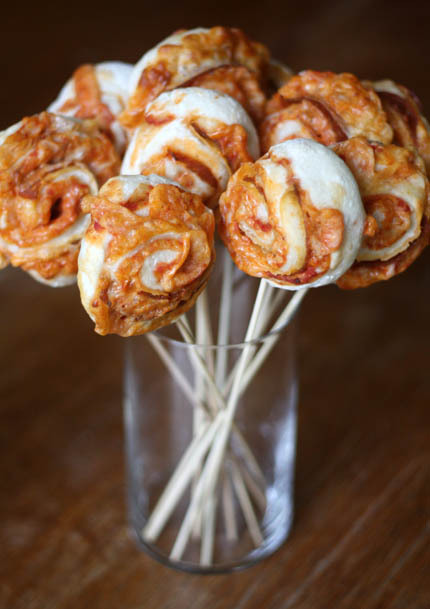 I have had some questions about the Pizza on a Stick that I made for the Rock Star Party. 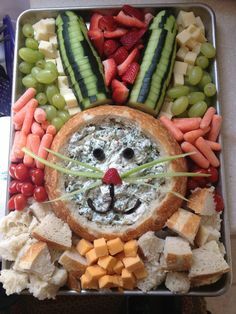 This was a very easy snack to put together that everyone seemed to really enjoy! Thread pepperoni, cheese, olives, and tomatoes onto bamboo skewers. Serve. I used bamboo sticks because this was primarily for the adults but you could use lollipop sticks if serving to children. Since I was eight months pregnant at the time of the party, I did not want to worry about cooking too much but I had also thought about making some of these recipes. Pizza is always a hit with adults and children at parties, so next time make the pizza a little more tempting by trying one of these recipes.